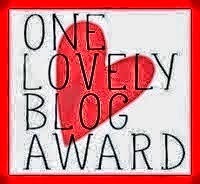 A few days ago Lisa, from Sunlight in Winter, nominated me for a One Lovely Blog award. Lisa has a great blog, and an eclectic style which covers everything from EPP to improv - well worth a visit. Thank you Lisa, this was such a nice surprise; I really appreciate it. Since I am not sewing anything I can blog this week (I'm quilting a bit and reading up for something) I thought I would get on and do my own post straight away. Choose some blogs to nominate for the award. (I think originally it was 10, but 'some' is just fine. I was a historian in another life. I am horribly pedantic about language and grammar (want a lecture about the difference between less and fewer? I'm your woman). I love, and I do mean love, watching sport. Any sport will do, but cricket and rugby can both have me on the edge of my seat, with a horrible sick feeling in the pit of my stomach. I don't always admit how many kids I have. It's only 6 but I worry people will think I have no self-control. I am the daughter of immigrants, the grand-daughter of immigrants and as I get older I find I am thinking a lot about where my roots are, where I belong. I like to sing at the top of my voice when I'm in the car on my own. Orrther drivers have been known to laugh. I believe there are not many things that don't taste better with added chili. And finally, can't have a blog post without a quilty picture so here is a tiny peek at an early quilt. (In light of my second point above, I should point out that I know quilty isn't a real word, but I am choosing to use it anyway). You made me laugh with your 7 facts, especially about your six children / self control and singing in the car at the top of your voice. You beat me to the punch with a few of the blogs on your nomination list (darn!) and I am going to have to go and visit the others! I feel a little self conscious about my grammar now, hee hee. What a great post Kaja. I love your sense of humour and I needed a laugh. Kaja, how kind of you to nominate my blog. I didn't know these things about you - although I share two of them. You left your sense of humor off the list, though. Now I'll have to get busy with my post. I would put salsa on salsa. I sing pretty loud when I sew and if I were a better woman, I would have 6 kids too. Thanks for letting us behind the curtain. It was fun getting to know you! So nice to meet you, Kaja! 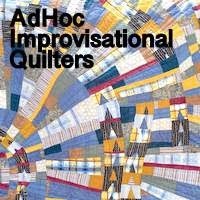 I enjoyed reading your blog post, and seeing your quilts. 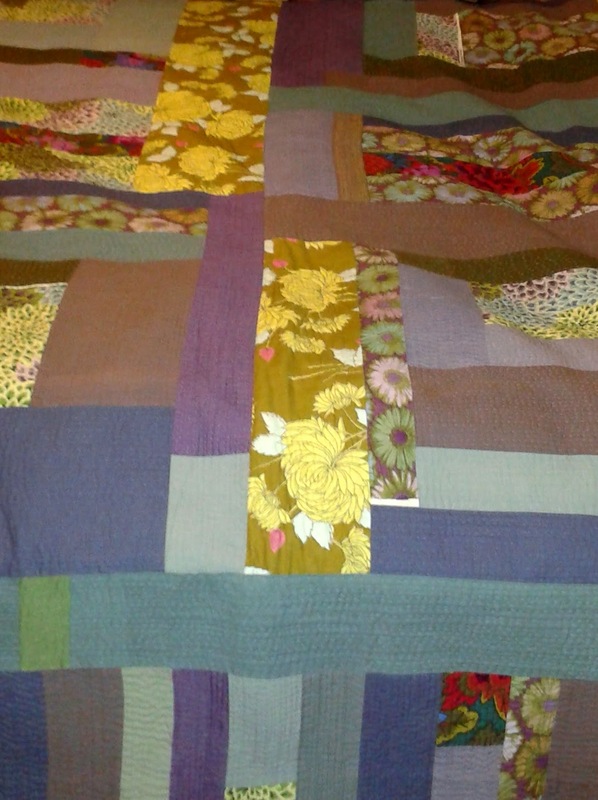 I love that you piece your quilt backs and make them as interesting as your fronts! Lovely to meet you, Kaja, and so wonderful to meet someone else who obsesses about the correct usage of the English language!! I lean more towards misuses (don't get me started...I just deleted two lines of pet peeves, lol). Can totally relate to your driving while singing description; I prefer the highway to avoid 'those' looks and laughs. Love the quilting on that early quilt! I found your "7 things" very entertaining!